In all, 10 major races from the UCI international calendar are now on TAG Heuer time around the world. A presence which will bolster the partnership signed by the Swiss watch brand with BMC Racing Team. La Chaux-de-Fonds, Monday 27th February 2017 – The winds of change are blowing through professional cycling. The appointment of luxury brand TAG Heuer as Partner of RCS Media Group is highly symbolic: it represents the desire of two men, two company heads, two exceptional leaders, Urbano Cairo, President & CEO of RCS Media Group, and Jean-Claude Biver, CEO of TAG Heuer and President of the LVMH Group Watch division, to breathe new life into the world of cycling. All the races organised in Italy by RCS Media Group, primarily the legendary Giro d’Italia (which celebrates its Centenary this year), but also the Strade Bianche, the Tirreno-Adriatico, the Milano-San Remo, the Gran Piemonte, the Milano-Torino and the Tour of Lombardy, will be sporting the colours of TAG Heuer which, thanks to the RCS Media Group teams, will introduce a new way of working, including efficient, innovative marketing platforms, a carefully designed upscaling strategy and an Italian-style culture of luxury that will permeate the peloton. This global, long-term agreement will complement the Dubai Tour and the Abu Dhabi Tour — also organised by RCS Media Group — which are already on TAG Heuer time. The presence of the Swiss watch brand will be signalled by high visibility at all events (panel advertising at the start, finish, and along the routes, TV adverts, and on team vehicles during time trials, etc. ), as well as various social media initiatives, customer invitations and the organisation of unique and unconventional events. Jean-Claude Biver announced: “Cycling is a universal, international sport, the popularity of which bridges the age gap. I have big plans for our involvement in this ever growing sport, which offers us a unique marketing platform with fantastic visibility throughout the world.” Urbano Cairo added: “Cycling has always been in our DNA and we’re proud that our races, above all the Giro d’Italia, demonstrate our passion for sport and the best that Italy has to offer. We are extremely happy to be partnered with a world-class brand like TAG Heuer, which can only add prestige and value to our cycling events.” Ultimately, this partnership confirms TAG Heuer’s dynamic strategy in cycling, a global sport whose popularity continues to grow, as perfectly illustrated by the increasing number of amateur cyclists on the roads every weekend, from Silicon Valley to Europe, Australia and Asia. TAG Heuer is 100% committed to cycling, and is leading the pack! It’s worth remembering that, following a 20-year absence, TAG Heuer this year renewed its links with top level cycling under the direction of Jean-Claude Biver, CEO of TAG Heuer and President of the LVMH Group Watch division. 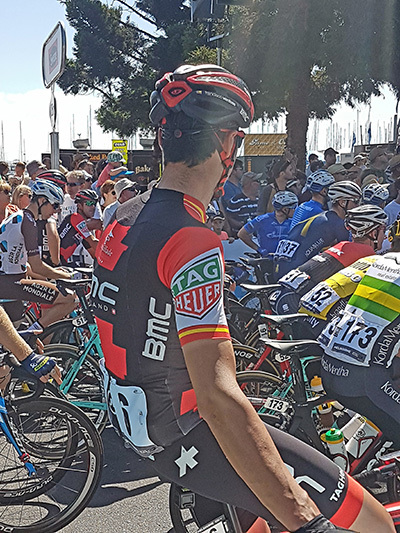 Already a sponsor of BMC Racing Team (a partnership that began on 1st January 2017), the Swiss watch brand wished to further strengthen its commitment to cycling by becoming Official Timekeeper for some of the biggest races around the world. 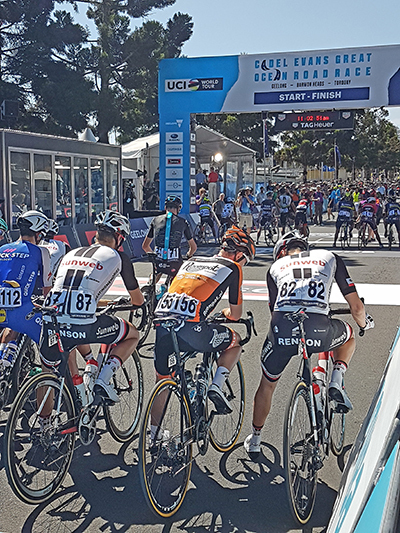 TAG Heuer and cycling The first pairing of professional cycling with the brand dates back to 1946, when pocket chronometers for measuring time during races and trials are first mentioned in the brochure of Swiss watchmaker HEUER. In 1985 — more than 30 years ago — TAG Heuer ventured in earnest into the world of professional cycling as sponsor of the HEUER SKIL SEM team and its leader Sean Kelly. From 1986-1987 to 1990, the brand’s involvement continued with Team KAS TAG HEUER and the American 7-Eleven Cycling Team, founded by none other than Jim Ochowicz – the current President and General Manager of BMC Racing Team. 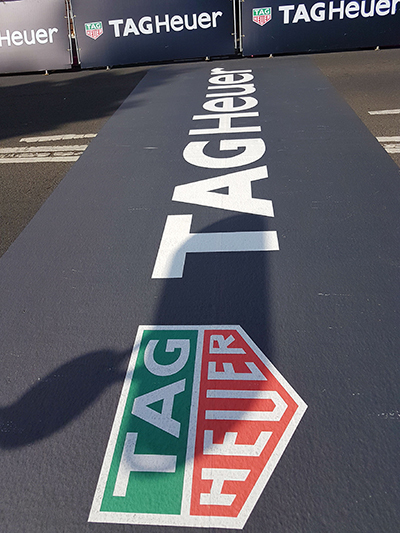 In 2017, already a partner of BMC Racing Team, TAG Heuer will now be partnering 10 major races in the international calendar.